Raptor Capital Management LP is an investment advisor and manager, managing assets for qualified clients. The firm employs both long and short term strategies in its investments, keeping focus on investment security and returns. The primary investments of Raptor Capital Management LP for the quarter ended September 30, 2014, are Hospira, Inc. (NYSE:HSP), AOL, Inc. (NYSE:AOL), and Select Medical Holdings Corporation (NYSE:SEM). This is according to the firm’s SEC 13F filings. 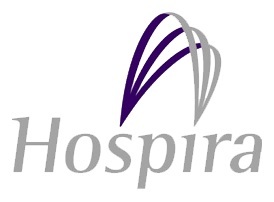 Hospira, Inc. (NYSE:HSP) was the primary investment of Raptor Capital Management LP, with investment valued at $17.40 million. Hospira, Inc. (NYSE:HSP) is a pharmaceutical and medical device company that provides injectable drugs and infusion technologies globally. The fund that had the largest number of shares of the company for the quarter was Ariel Investments, with a total of 2.43 million shares. Adage Capital Management came in a distant second with 459,877 shares. (You can see complete list on hedge funds which hold positions on Hospira, Inc. (NYSE:HSP) at the end of the third quarter). The second largest investment of the firm was AOL, Inc. (NYSE:AOL), that represented investment worth $16.97 million. AOL, Inc. (NYSE:AOL) is a mass media company that focuses on innovation in order to connect the world and make the online experience better. In an effort to expand its video business and related services, the company recently acquired Vidible Inc., which is an online marketplace, connecting video publishers and providers. AOL, Inc. (NYSE:AOL) is said to have spent $50 million on the purchase. Select Medical Holdings Corporation (NYSE:SEM) was the third largest investment of Raptor Capital Management LP, coming in with investment totaling $10.85 million. Select Medical Holdings Corporation (NYSE:SEM) is a company that runs hospitals, outpatient clinics, and a host of patient care centers. The company’s care services are provided on a contract basis in specific hospitals, nursing homes, schools, and other fitting centers. In the company’s third quarter 2014 report, it posted $0.20 in earnings per share, checking with the consensus estimate of the same figure. The company has recently received a “B” credit and a 3 star rating from Morningstar.